Many of you may be considering walking or running your first 5km this year. After all, we did just celebrate New Year and people are setting fitness goals. But, it can be difficult to take that first step. Fear not! Laurie Thi was just in your shoes having only started running a few months ago and she has now become an enthusiastic new addition to the parkrun family. 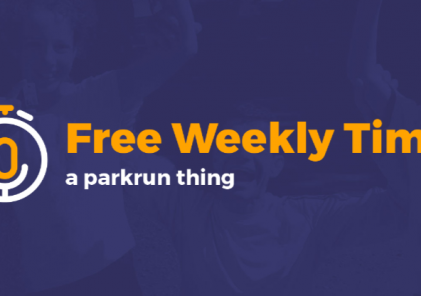 How did you hear about parkrun? I played badminton recreationally, but never ran and I’m far from being a sporty person. I was looking for groups that run “for fun” and found a post on Meetup. It was exactly what I was looking for and it was local, right here in Richmond. I didn’t know what parkrun was and definitely had no idea how big it was internationally! How did you feel before attending your first event? I was a little intimidated prior to coming out to my first event at Richmond Olympic parkrun because of my running ability and the fear and embarrassment of coming in at the end. When I arrived, I was greeted by friendly organizers and volunteers. The tail walker that day, Emma (and her baby Amelia in her stroller), were so encouraging and friendly. I felt welcomed and had a lot fun. The idea of having a tail walker so that no one is left behind is brilliant! What do you like about parkrun? I love everything about parkrun. It brings runners of all ages, skill-levels and abilities together. parkrun is all-inclusive, supportive, and most importantly—fun! The social aspect of parkrun has been the icing on the cake for me as I’ve met some awesome people. Everyone has been so encouraging and supportive, so much so that I’ve now challenged myself to register for actual races! What is your favorite parkrun moment so far? I have so many favorite parkrun moments. I love being a volunteer cheering everyone on and also the energy and feeling of accomplishment that I get from completing the course. My most recent memorable experience was having another parkrunner, Rebecca, encourage and give me a pep-talk for almost the whole run. It’s those kind of moments that embodies the community spirit of parkrun. Any advice for people considering coming to a parkrun? I would say just come out and give it a try! You have nothing to lose and so much to gain. I promise you that you won’t regret it and like me, you will find that running can actually be fun!